Join a camera club! 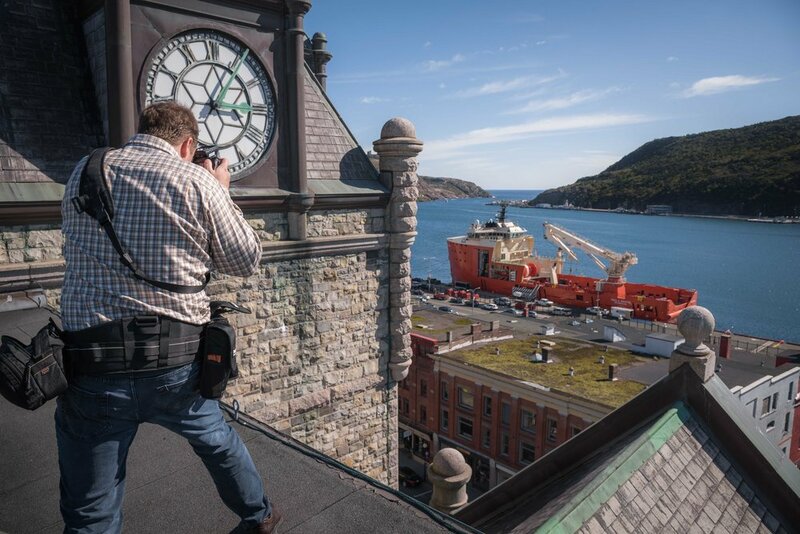 I joined Camera 35 about a year ago and not only have I been able to observe some awesome photogs do their thing and learn from them, but we have great outings like last Saturday when we found ourselves on the roof of one of the largest and most historic buildings in the downtown. 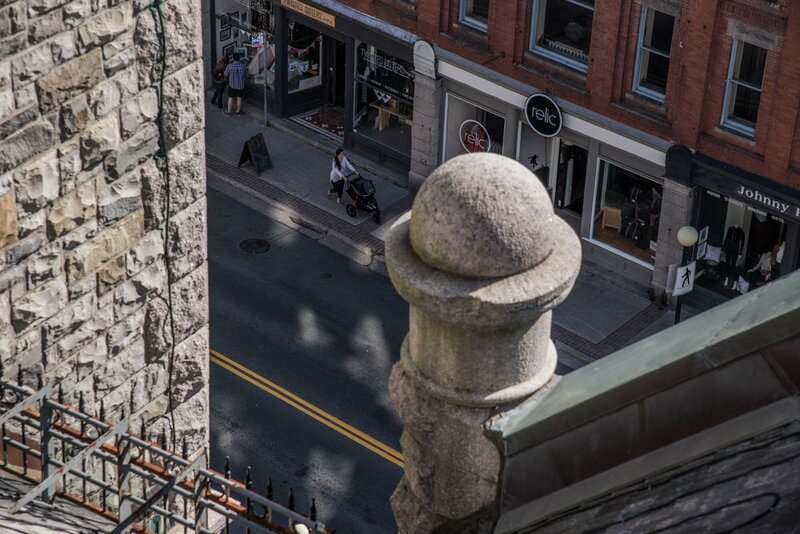 Pictured here, Rob Miller creeps near the edge shooting the street down below. This is a small town and I met Rob about 8 years ago through the student movement. Rob's vantage point above looked something like this I think.